The Bourne Legacy is the # 1 movie in the Philippines and the United States today. This isn’t a wonder since it proved to be a good continuation of the Bourne story that many people loved. The movie had the feel of uncertainty and confusion at the start. The scenes here flash one after another, showing various locations with different characters. However, once you get to connect what you’ve known from the first Bourne movies to what it being shown, you’re going to give it your full attention. That is, if you don’t want to get lost in the story. The movie’s going to work up your mind at the first hour when the characters did a lot of discussing about what is happening. It eventually goes from mind working to eye catching after that, as scene after scene of octane action would be blaring up on the screen. The movie was one large mesh of interconnecting storylines because there were a lot of flashbacks in between the scenes that show the present storyline. This may get one confused at times, but it ultimately made the themes of the original Bourne movies more. Super soldiers. Intelligence units. Black operations. Media expose. Collateral damage. These were just some of the themes presented by the movie. Harnessing super soldiers to enhance chances of winning in battles was the main get go. The CIA surely does it to prevent anti-terrorist acts. However, because of the impending threat of exposure because of the program’s questionable means and ways, the kind of patriotism the agency was showing suddenly becomes the face of terror. Doing collateral damage by killing everyone involved to shut down their exposed programs is plain and simply evil. The clout of justice is not proven here, as one does not rightfully decide the fate of others just to save their own faces. Jeremy Renner turned out to be a great replacement for the super soldier hero role that Matt Damon left behind. He certainly made his character, Aaron Cross, as someone you would root for to win and achieve. Rachel Weisz was fine as the doctor-in-distress who tried to help Aaron Cross. And even though the two didn’t have scenes that would suggest romance in its strict sense, they sure had a good chemistry. The character of Edward Norton was a letdown for me as he was mainly seen inside the CIA commanding and giving orders. He has certainly beefed up his role with the kind of acting that he made, but I surely want to see him do other things aside from the ones given him here. If you’ve already watched the movie, I guess you would agree with me that the scenes filmed in Manila were simply unbelievable. The directing and the editing sure had a hand for the success of those action scenes, but one has got to wonder how they were able to pull off very difficult stunts with use of vehicles here and there. I also liked the night scenes of Manila because the city’s more beautiful at night than at day. The Bourne Legacy was far from perfect. Even though it succeeded with the stellar cast, great action and a good continuation of the Bourne story, it somehow lacked cohesiveness. Not to mention the abrupt ending, which definitely disappointed a lot in the audience. 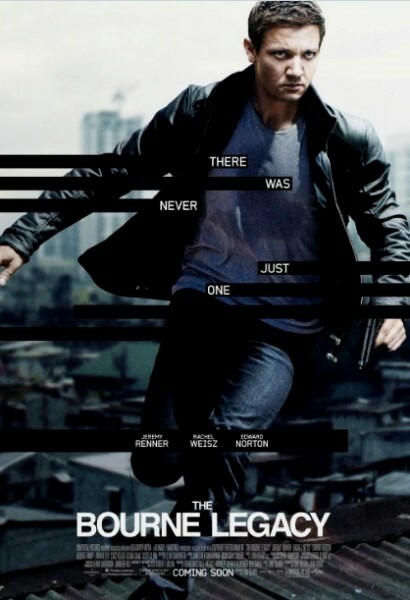 Nevertheless, the movie just had the right combination of action and suspense to be a credible Bourne film. It may not be better than the original Bourne trilogy but what it has shown is enough to jumpstart the franchise. It’s been more than six (6) years since I’ve started writing about my thoughts on movies that I watch. I wrote them all on a website called Multiply. In case you’re not familiar with it, Multiply is a social networking site that aimed people to blog, post their pictures, share music and videos and write reviews. It gained popularity before the two biggest social networking sites, Facebook and Twitter, gained fame. So I don’t blame you for not knowing it. Even when blog sites such as WordPress and Blogspot became popular, I didn’t stop writing blogs and reviews (basically, of movies) in Multiply. Why? Just because it’s so hard to leave the first blog site that I used. Even though I don’t blog that much there anymore (because I already have one and now, two, here in WP), post pictures since more than two years ago (I do this now in FB, thank you) and share other media contents, I continued to write reviews of the movies that I watch just because I want to. When I started writing movie reviews (right about 2nd year in college), I didn’t know it would become a habit, especially after college graduation. But I just thought of it as one way to relax. Of course, I enjoy doing what I do at work but there are also other things that I enjoy, and two of them are watching movies (let’s also add TV shows) and writing. When I put them together, it feels like bliss just follows. Later on, I’m going to put some of the reviews that I did in Multiply here in my newest WP blog. Don’t worry, I won’t be sharing my very first movie reviews because they were not that good, not that I’m telling you my reviews now are really, really good! Hehe. Anyway, thanks for reading and I hope you enjoying the reviews that I would be posting!